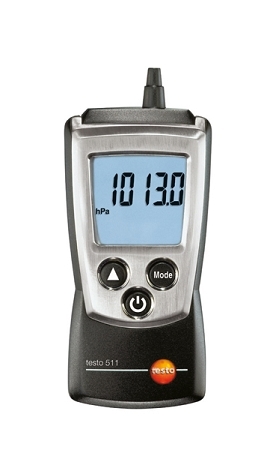 The Testo 511 measures absolute pressure with an accuracy of +/-3 hPa. It is converted to barometric air pressure by entering on-site height above sea level. In addition, barometric elevation measurement between two points is also possible. 186 TruReward$ points will be placed in your account when you buy this item.